The giant inflatable screen is back for Family Night in the Park! And we're going to show Big Hero 6 on it. 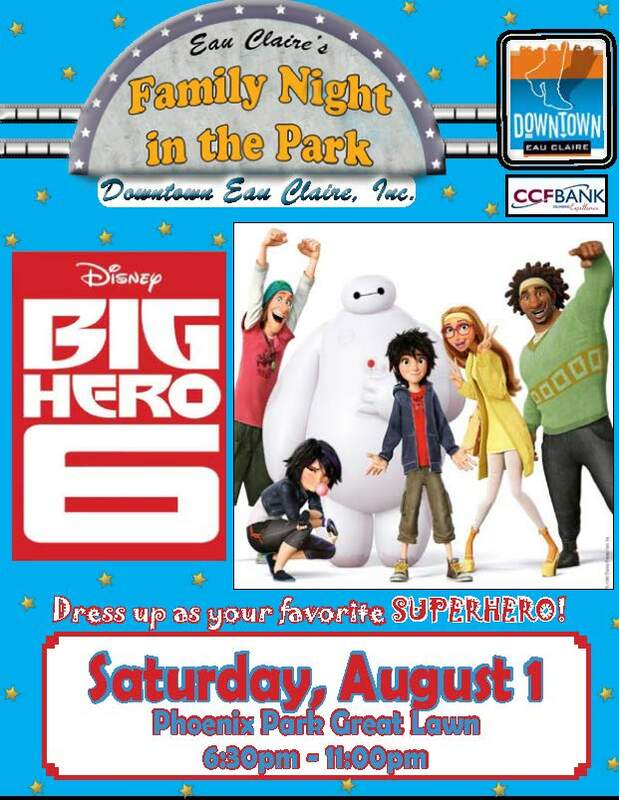 Join us Saturday, August 1 in the Great Lawn of Phoenix Park at 6:00pm for some superhero activities. Then we'll show the movie around 8:30pm. Don't forget to DRESS UP AS YOUR FAVORITE SUPERHERO!